MILFORD, Conn. — Today, a new craft brewery, Dockside, announced that it is seeking to add a waterfront destination to Milford’s soon-to-be-growing craft beer scene. The site where Dockside hopes to open up shop – complete with a craft brewery, 30 tap lines, a waterfront biergarten, and approximately 112 parking spots – is located just over the Washington Bridge (40-50 Bridgeport Avenue, Milford), which spans from Stratford to Milford, according to Dockside co-founders Dan Bagley and Bob Chicoine. 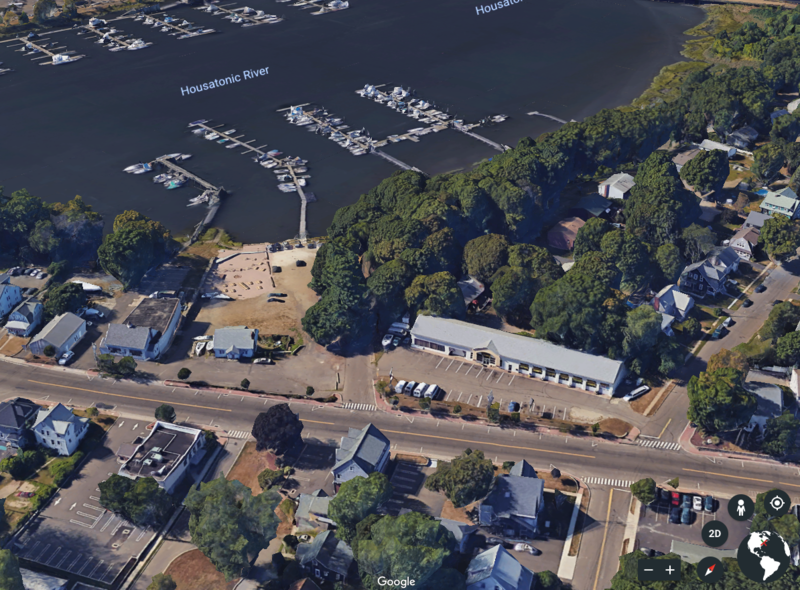 The property where Dockside will be located is currently occupied by a home (50 Bridgeport Ave.) and Village Marina (40 Bridgeport Ave.). Plans for the property include demolishing the existing home – which will pave the way for 112 parking spots – and renovating the 4,000 square foot building that currently houses Village Marina to then serve as the new craft brewery. In addition, near the waterfront, two docks will be renovated to hold boat slips and inland will be home to a top-notch biergarten. To maximize the waterfront views, there will be a wide array of waterside seating and deck space for craft brewery goers. The next step for Dockside is to receive approval of its plans from Milford’s land-use boards.